Home / Technology / Why Is Online Video Streaming a Trend Today? Why Is Online Video Streaming a Trend Today? Today when we’re standing at the threshold of 2018, and everybody is embracing the internet, there is no reason for not streaming videos online. For a huge amount of time, movies and shows had only been a part of some big production houses and TV channels. Earlier to watch a movie at your home, you had to wait for months, sometimes for years. First, a movie would release, then you would have to wait for it to get broadcasted on the television channels. If the movie flopped, then it might come early on TV. But if it becomes a hit, then the waiting almost becomes infinite. Add to that, the ads. The never-ending ads kill half of your energy to watch a movie. So, it is quite evident, if,at that time, one would get a better option to watch movies, both old and new, without all the waiting and annoyance, then he/she would grab that chance instantly. And that’s what has happened exactly! When this generation, who literally eats, sleeps and dreams on internet, got a chance to make the internet as a source of their daily dose of entertainment, the result was, online movie streaming. Infact studies show that, by 2020, 82% of the total internet traffic would be from online video streaming accounts. In this article, I’m trying to find out the core reasons behind this revolution called Online Video Streaming. Why Is Online Video Streaming Such a Hit? The first and foremost reason would be the disappointing performance of Television for ages. As I have already discussed, Television delays in bringing latest movies, produces shows with bad contents, annoys us with unnecessary advertisements, and we all needed a break from these. Online movie streaming sites (Like Couch Tuner) touched the chords in our hearts, which television could never reach.They let you watch latest as well as retro movies, in good picture quality.Though there are ad pop-ups, but that’s less irritating than 30-minute long ad breaks after every 10 minutes. The second reason would be the growing popularity of smartphones. Now, you can only stream movies and TV shows online on three devices, namely, your desktop PC, laptop, smartphone (even tablet for that matter). Naturally, desktop PC is not very comfortable for streaming movies online. The laptop is a cool option, but is not always accessible. It is your smartphone which stays with you all the time. And once you hold a speedy internet connection, all you require is an all-time accessible device to stream movies. Smartphone lets you do that. Surveys show, by 2018, around 64% of online video streaming would be from smartphones. The final reason according to me would be this generation’s over-fondness for the internet. Persons born in between 1992 to 2002 are the people who have hardly played outdoor games. They have grown up by playing video games, shopping online and now watching movies online. They are the future of tomorrow, and they hold a huge part of the whole world’s population. So, their activities mean a lot and they are widely responsible for this uprising of online video streaming. 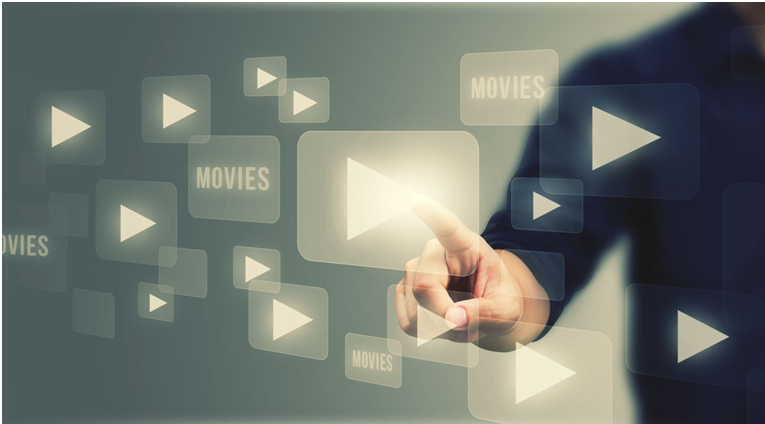 To know more about online video streaming sites, visit layerpoint.com today.